Our innovative Avant-Garde Invitations combines colour and typography in outstanding fashion. Solid printed in the ink colour of your choice leaving white text clearly displaying your party details, our Avant-Garde Invitations are the perfect way to display all of your event information in a stylish and practical manner. 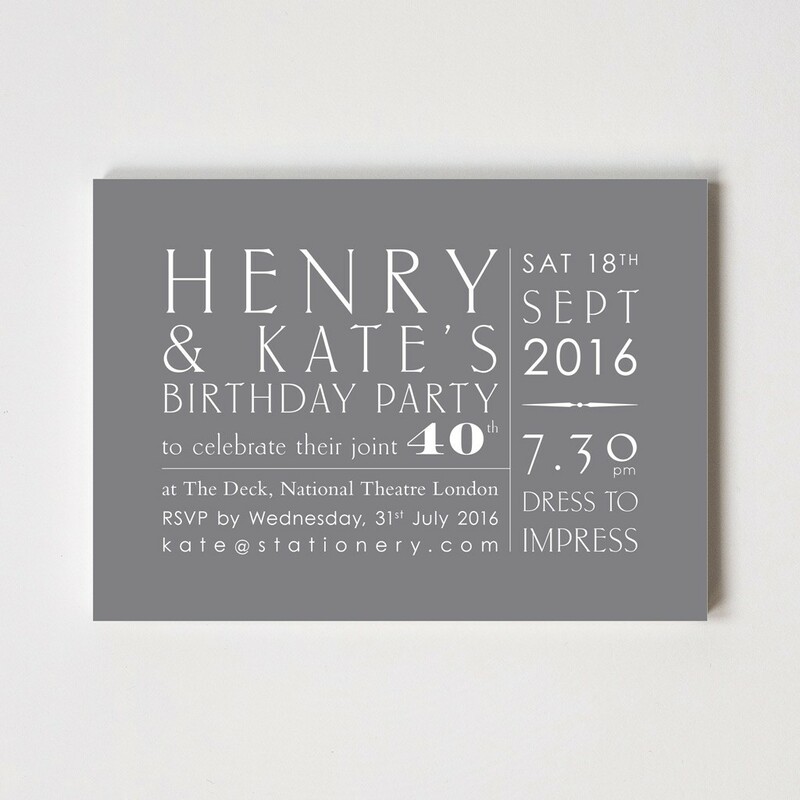 Printed on 400gsm paper stock and measuring 178mm by 127mm, our invitations are supplied with matching envelopes.